This is not a uniquely Republican problem; many Democratic-controlled states have been accused of districting their state’s Republicans into irrelevance. The reliably blue state of Maryland has gone from an even split delegation of 4 D/4 R in 2000 to 7D/1R in 2016 despite Republicans garnering 2.96 out of every 8 votes cast for Congress in Maryland that year. 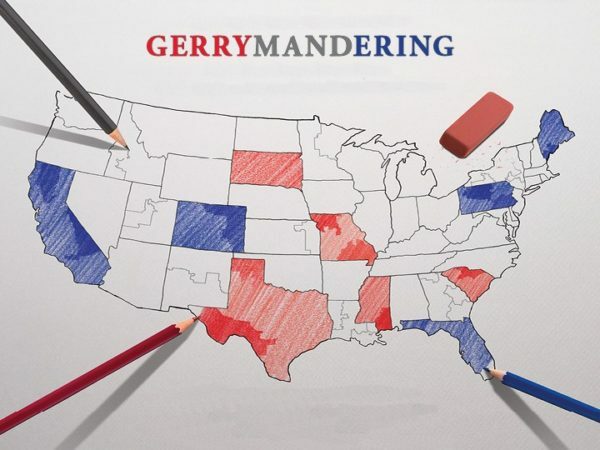 Although the federal government has passed laws to prevent overtly racist redistricting and the Supreme Court has suggested that partisan gerrymandering may be unconstitutional, partisan redistricting remains a tool used by politicians to maximise their advantage in Congress and state legislatures. Fundamental to the understanding of the tensions being balanced with redistricting is today’s political vendetta: Democracy v. Policy. If the ultimate goal of winning an election is to win the right to enact the public policy decisions you advocated for on the campaign trail, should political parties be able to put a thumb on the scale?. If you feel that your positions are needed to “save the country,” is gerrymandering a district defensible? What do you do if you fundamentally believe that the general public is dead wrong on an issue? 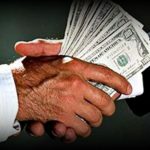 Does that give you the right to ensure your reelection by maintaining an unfair district? While the practice of gerrymandering evokes strong negative reactions from people across the country, it’s not all that it’s cracked up to be. In fact, some of the districts that are always singled out for ridicule as obscenely gerrymandered (for example Illinois’ 4th Congressional District ) are actually structured to ensure that the Hispanic community in Chicago has representation. The 4th district, often nicknamed “the earmuffs”, has two pockets of territory on either side of the majority black 7th district, and are linked together by a small section of road at their western end. Making the 4th and 7th districts less awkwardly shaped wouldn’t change the party who wins in either; both districts are strongly Democratic, but drawing the lines as such allowed two minority communities to have representation where combining them would have invisibilized one group or the other. So if gerrymandering districts can help augment minority representation (be it a racial/ethnic minority or a political minority), should it be allowed? Where does one draw the line between creating a minority-majority district and cynically packing minorities into one district so that one party’s voters have no influence in the adjacent districts? Because let’s be real here, minorities disproportionately vote for the Democratic Party. Packing black people into one district will almost guarantee a black Democrat wins there, but it also means that adjacent districts aren’t influenced by that core Democratic vote. Remove redistricting authority from the state legislature as was done in California and other states. This would allow redistricting to occur but would take the process outside the legislature and put that authority into a third, usually non-partisan or bipartisan group. While this is most likely the easiest version of redistricting reform, it would require working in every individual state, sometimes with the very legislatures under whose authority redistricting already lies. Change the election system to make gerrymandering irrelevant by adopting some form of proportional system. While moving to a proportional system would eliminate gerrymandering, it would also eliminate congress districts period. In most proportional systems, voters vote for a political party who publishes the list of people who will be seated in the legislature before the election. This means that seats are given out to Party favorites and without regulations requiring ethnic and geographic diversity may result in an uneven representation of the various interests within each party. Demand competitive gerrymandering in which partisan competition is the top priority in districts. It seems like this option would be the easiest as it doesn’t demand that state legislatures surrender power or dramatically change the way we elect politicians. It still remains a problem though as making districts competitive for the sake of competition would blend too many interests together in one district. Due to the nature of how modern life, Democrats tend to overwhelmingly live in cities, and to an increasing extent, suburbs, while exurbs and rural areas are strongly Republican. A district that emphasizes competitiveness would have to combine inner-city constituencies with suburban, and rural constituents. If anything, this sort of district would make its representatives less representative of their district as finding candidates who can adequately balance the competing interests of rural Republicans at one edge of a district with urban Democrats will be difficult. If political competitiveness is your goal, this would get you there, but at the cost of invisibilizing a diverse array of voters. In a perfect world, we’d be able to move on to a proportional system or my preferred mixed-member proportional (MPP – districts tempered by a proportional ballot), but the United States of America in 2018 is not a perfect world. In that case, the most practical solution is to publicly demand that state legislatures surrender their redistricting power to an independent commission of some form or another. While most states have the legislature take the lead or do all of redistricting, many of them already have independent institutions that provide guidance on redistricting. This means that for most states, its less about creating a new agency from scratch than empowering an existing agency to take the reins on redistricting. If you live in a state with ballot initiatives, this is something you can help make happen. California and Arizona created independent commission statutes through a ballot initiative; if you want your state to reform its system before the 2020 census, you can work to promote a petition for ballot access. For those that live in states without a ballot initiative process, your work will be harder. You will have to convince legislators who already benefit from gerrymandering to back your bid to take that power away from them. It’s not impossible but will be harder than collecting signatures. If you are in Virginia, One Virginia 2021 is a group that advocates for a non-partisan redistricting process in Virginia following the next census. Congressional Redistricting: How to Rig and Election. (2002, April 25). The Economist.